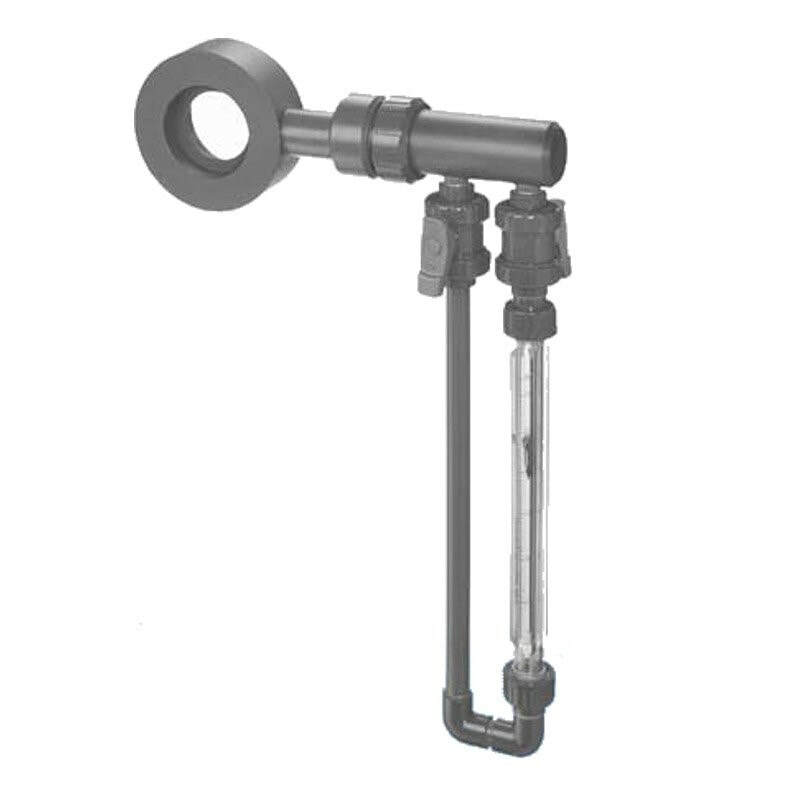 The F O N4 orifice flow meter is used to measure the flow of transparent liquids in closed piping. Any mounting location, position and flow direction can be selected for the flow meter. The flow meter can also be used for flow monitoring if equipped with limit contacts. The F O N4 orifice flow meter primarily consists of an orifice plate as the sensor and a float as the display element. A differential pressure is produced across the orifice plate which is fitted in the main stream between two flanges in the piping. In a bypass, this differential pressure produces a volume flow in a rotameter. The height of the float indicates the flow rate. The flow is read at the position of the float’s widest diameter. The F O N4 variable area/orifice flow meter is used to measure the flow of transparent liquids in closed piping. Any mounting location, position and flow direction can be selected for the flow meter. The flow meter can also be used for flow monitoring if equipped with limit contacts.